If you don’t plan a religious ceremony, there are two types of venue for civil marriages and partnership ceremonies: a register office or an approved venue licensed for the purpose. Although you may not incorporate any religious content into a civil marriage ceremony, most registrars are happy to include individual touches provided they can have sight of your choices of readings and music beforehand, so they can ensure they comply with the law. 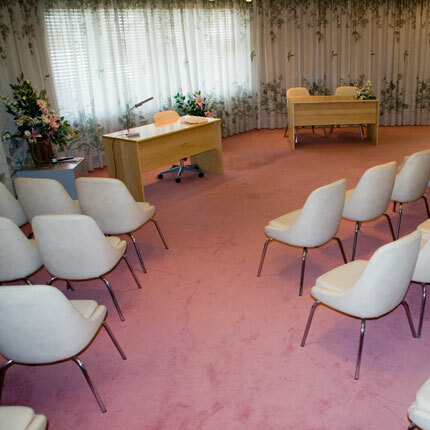 Register office weddings are typically easy, intimate and inexpensive and, while in the past the ambience might have left a little to be desired, nowadays register office marriage rooms are smart and comfortable. They will usually have a display of fresh flowers in season and the facility to play music. Guests should arrive around 20 minutes before the ceremony is due to begin. They will be shown to a waiting room before being invited into the marriage room at the appropriate time. Both bride and groom should arrive at the wedding venue 15 minutes before the ceremony, so the registrar can finally confirm the information to be recorded on the register, collect any fees which are still owing and check all the details of your ceremony. Bride and groom can be interviewed either together or separately, if they don’t want to see each other before the wedding. Whatever you do, don’t be fashionably late! While your registrars will make every effort to accommodate a late arrival, they may be committed to other appointments – especially on Saturdays, so do allow for traffic problems and unforeseen hold-ups. The bride can be escorted into the marriage room to processional music by her father or family friend or the couple can enter together. It is perfectly acceptable to have bridesmaids and attendants if you wish, though if you’re marrying in a register office, bear in mind the restrictions on space. The registrar will begin by welcoming everyone and explaining what will happen during the ceremony, reminding you of the solemn and binding nature of the vows you are about to make. The couple will then be asked to declare their intention to marry, make their vows to each other and exchange rings if they decide to do so. While there are strict legal constraints on the declarations and contracting words you must say, you may also write your own promises to each other, which you can ask the registrar to lead you through on the day. In the final part of the ceremony, the registrar will oversee the signing of the marriage register by the bride and groom and two adult witnesses. At every part of the proceedings, the registrar will explain what is happening and lead the couple through their responses. Devon Registration Services looks after register offices all over the county, except in Torbay and Plymouth, which are unitary authorities and work on a separate system. The Register Office is situated on the Hoe a short distance from the city centre. It is easily accessible by public transport and there is a small car park for clients of the office. Please note that parking is limited. Wedding parties are allowed only two parking permits for use on the day of their ceremony. Wedding guests are asked to use pay and display parking which is available in the roads surrounding the office or the Theatre Royal car park which is a short walk away. The reception and offices for giving notices of marriage are situated on the first floor accessible by stairs and lift. The marriage suite is on the ground floor and consists of two marriage rooms and a reception area. Outside there is a small garden where photographs can be taken. The extensive lawns and flowerbeds on Plymouth Hoe, which overlook the sea, lie adjacent to the register office and provide another photo opportunity following a wedding. Opening times are: Monday 9am to 5pm; Tuesday 9am to 6pm; Wednesday 9am to 5pm; Thursday 9am to 5pm; Friday 9am to 4.30pm. An appointment system operates. For a full list of venues licensed for civil ceremonies, visit the website. Situated in the heart of idyllic Cockington Village, hidden in a deep valley just one mile from the bustle of Torquay. Cockington is easily accessible from the seafront by bus or car. The Register Office is available for ceremonies Tuesday, Thursday, Friday and Saturday 9:30am to 12:30pm and has seating for 12 guests. The statutory fee payable for a ceremony in the Register Office is £50 (including a copy of your marriage certificate). If you would like to view Cockington Court, please contact the Register Office who will be happy to make an appointment for you. 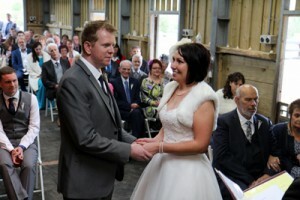 You can also marry at a huge variety of venues int he area approved for civil ceremonies. For a complete list, visit the website.